This is a 2 story unit with a master down stairs and a large loft upstairs with Queen Bed as well. Covered balcony with sun shades and high end 65” curved TV. Relax in the hot tub, grill by the pool or shoot indoor basketball before the game. Will also be able to grant University Center Club(Members Only)access during game with ANY ticket. Also access to University Center Club dining. Call for more questions. Unit is 25min away but in nicest part of town in gated community. Contact any time for any questions. Unit is on 3rd floor. In a nice gated community close to shopping owner was very accommodating. I never had the chance to use any of the amenities available, but I'm sure they were great. neighbors pretty quiet. If you are looking for a place to stay in Tallahassee I would recommend staying here. Was very impressed with the property and the attentiveness of the owner. Would love to have stayed longer and will definitely reserve again when I'm back in the area! Really had a great time we attended the Clemson and Florida state football game met some really great Florida State football fans tailgated with some of the fans had a opportunity too hang out with some of the alumni enjoyed some great food but I was very pleased with condominium that we rented for the weekend had all the amenities of a five star resort. 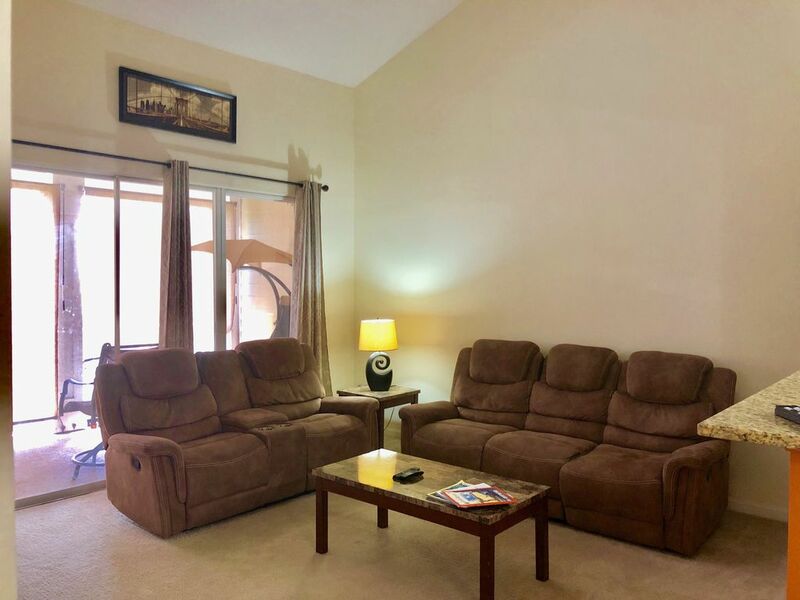 This is a nice one bedroom apartment, with a loft as a second bedroom in a gated community on the north end of Tallahassee. Its close enough to everything you could need while not being surrounded college students or lobbyists. Has everything you need to relax and enjoy your stay. Overall, this property was a great place to stay. Jason made sure we had everything we needed and was a great host. It is in a great location not far from anything, several restaurants and stores within walking distance. If you are looking for a nice place to stay I recommend staying here!